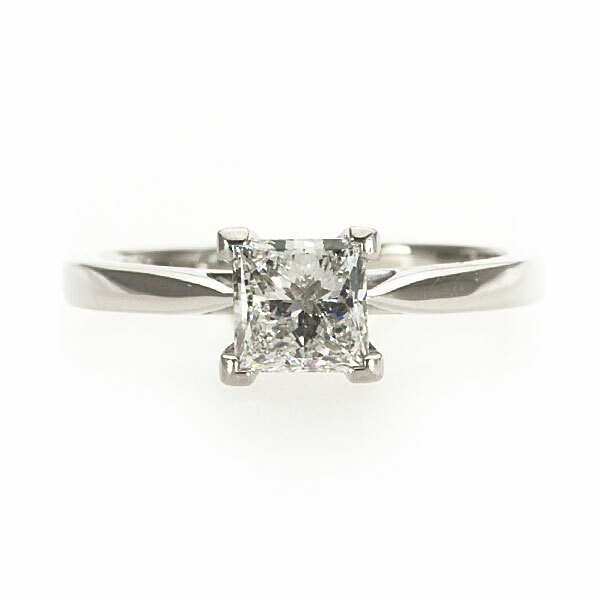 This graceful ring stars a glittering princess shaped diamond. The claws cradling the gem are squared to echo the shape of the diamond while the sleek, slightly domed band has squared edges to continue the clean lines throughout the piece. Like all of my rings, this can be made for you in any diamond size, any finger size and any metal.